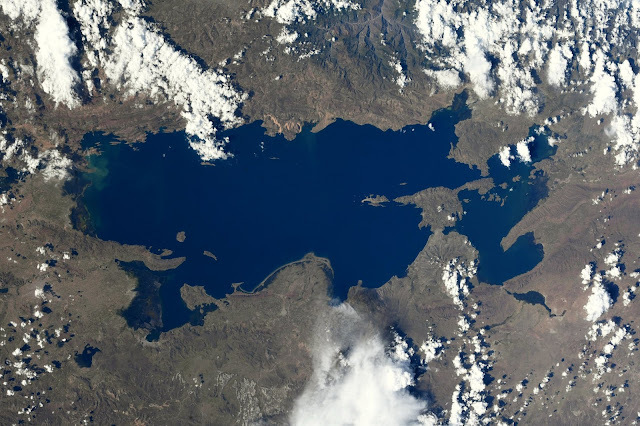 U.S. astronaut Ricky Arnold: "The inviting azure waters of Lake Titicaca high atop the Andes of Peru and Bolivia. To the Incas, it was considered the birthplace of the sun. From the International Space Station, it looks like the birthplace of the purest shade of blue."